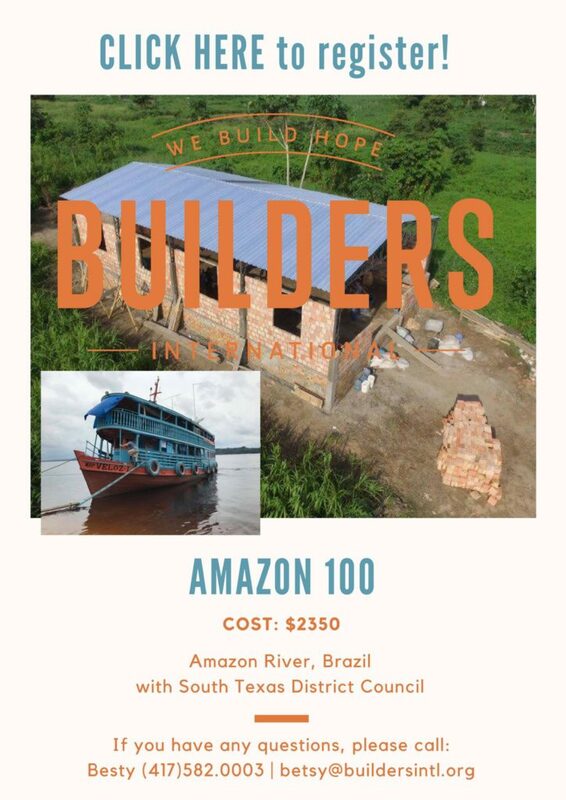 I am excited about this project in Brazil that Builders International has the opportunity to help support, working with missionary Mark Lemos building churches on the Amazon River. This team hosted by South Texas District Men’s Ministries is open to both men and women! Plus my dad, Tom Moore, will be joining this team as well! You can learn more about the work in Brazil in the Builders Blog post written by Laci! Laci and I appreciate you!